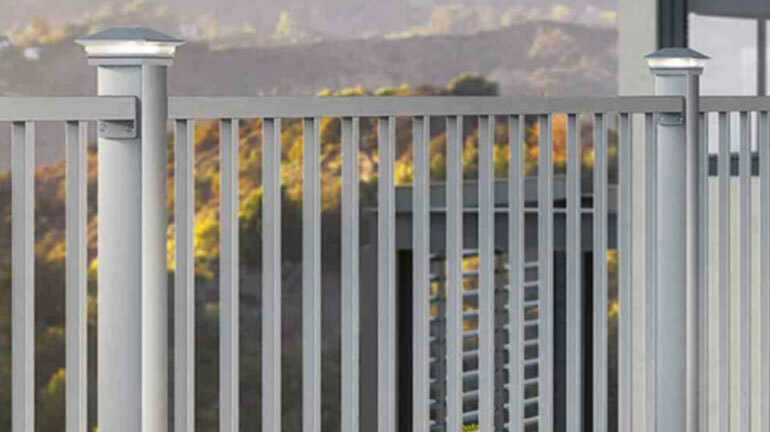 Deckorators, one of the most recognized brands in the industry, continues to set the standard for durability, functionality, and cost efficiency. 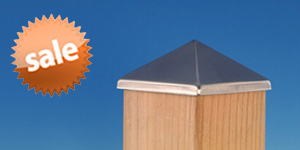 DecksDirect is proud to be recognized as a Platinum Dealer through our vast inventory and commitment to service. 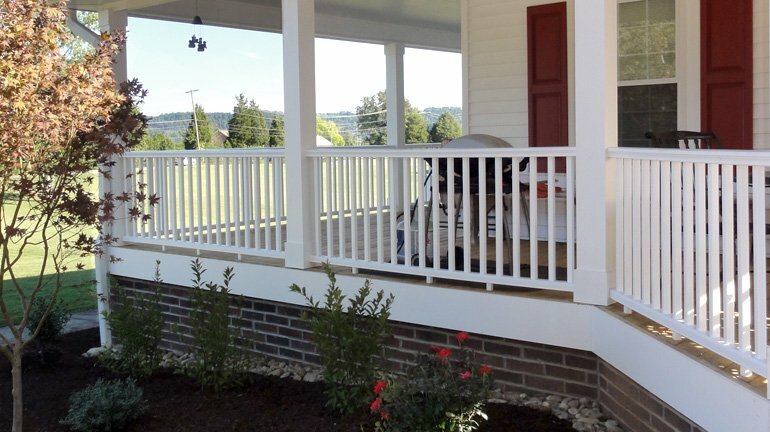 Deckorators offers many top selling items such as Classic Balusters, Estate Balusters, Baroque Balusters, Glass Balusters, CXT Railing, Solar Lighting, and Post caps; all of which can be found here at DecksDirect. 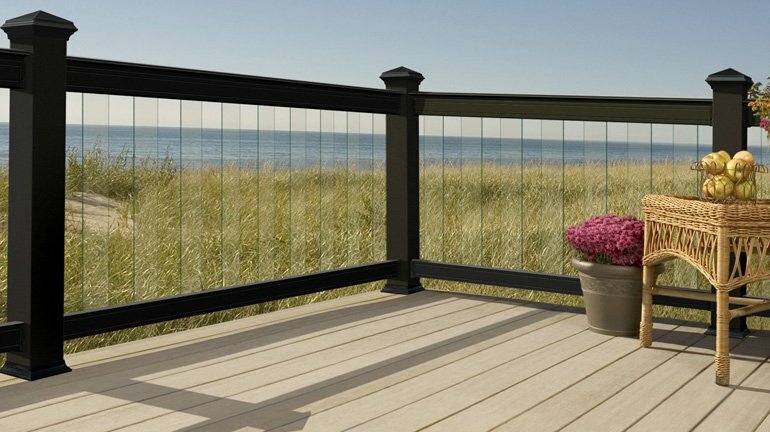 Image Gallery Deckorators CXT Image Gallery Deckorators CXT & Glass Image Gallery coming soon! 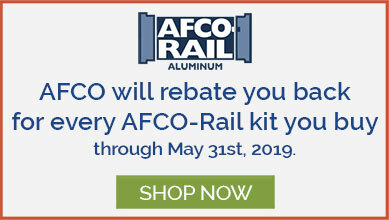 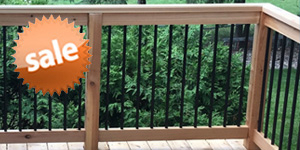 Image Gallery Deckorators Aluminum Railing Image Gallery Deckorators Aluminum Railing Image Gallery Deckorators ALX Pro & Glass Image Gallery coming soon! 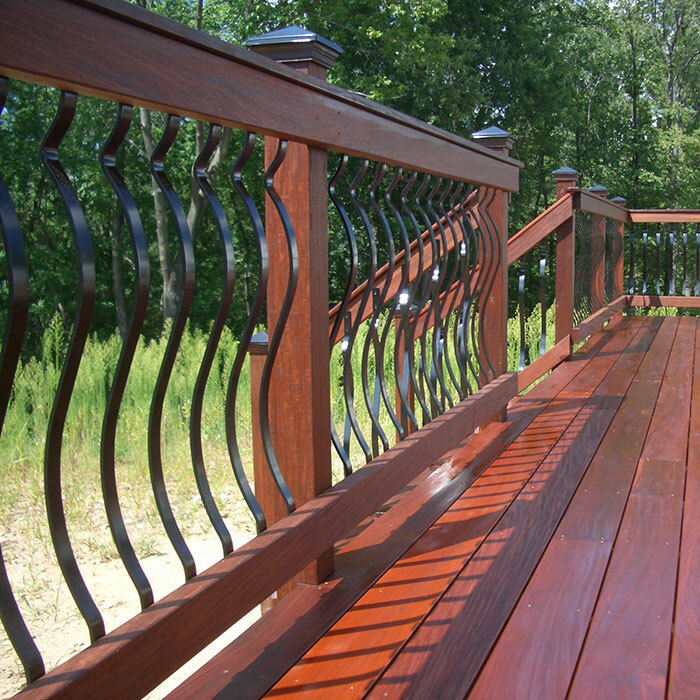 Deckorators boasts one of the widest assortments of balusters in the industry. 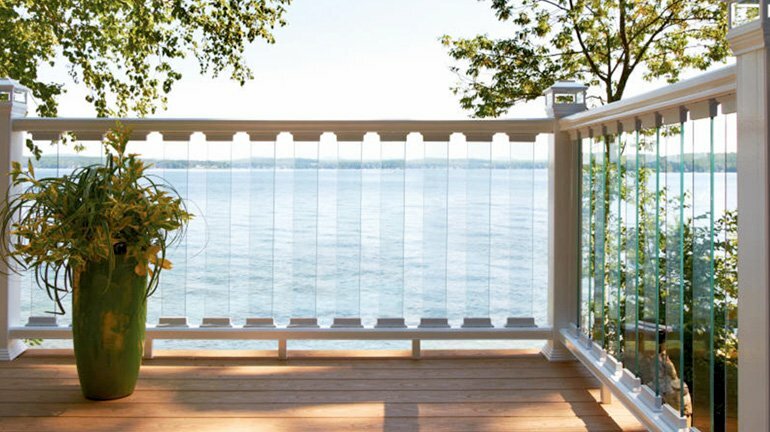 From Classic Round to Estate Square, Face-Mount or Glass; Deckorators is sure to have a baluster perfect for your project. 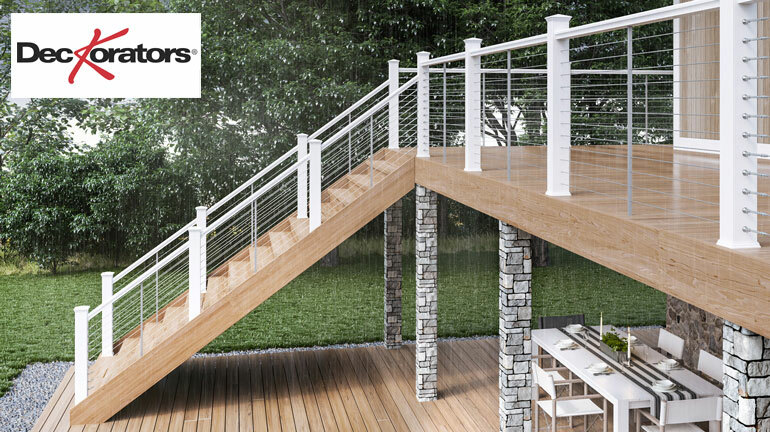 Deckorators delivers an extensive line of deck lighting including post cap, rail, step, and baluster choices. 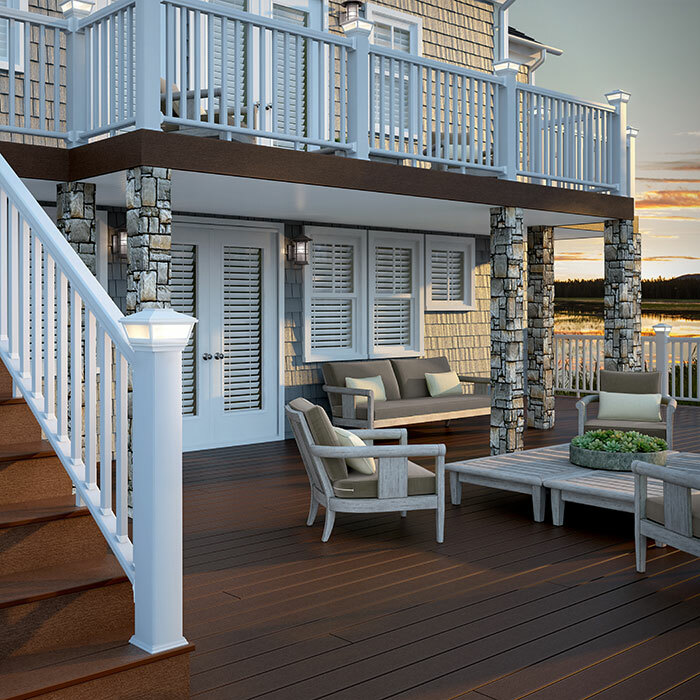 These lights match Deckorators brand railing and balusters, and also coordinate with other brands. 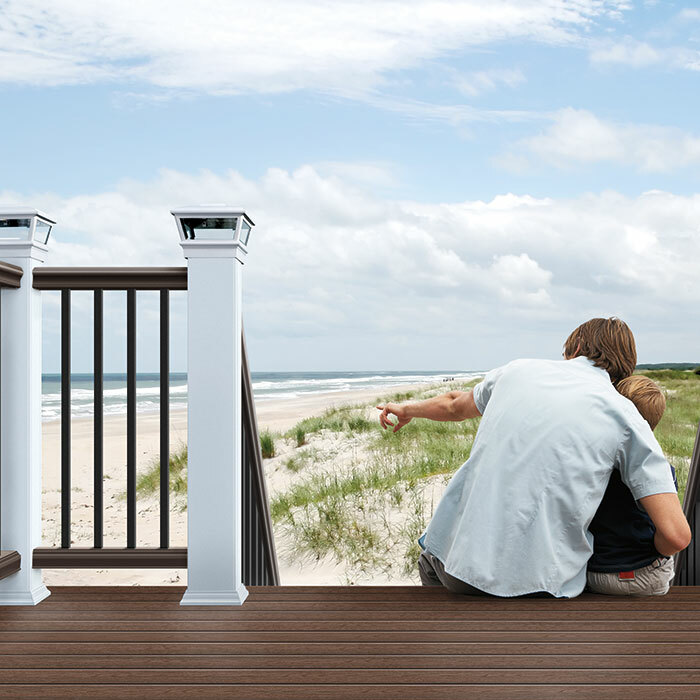 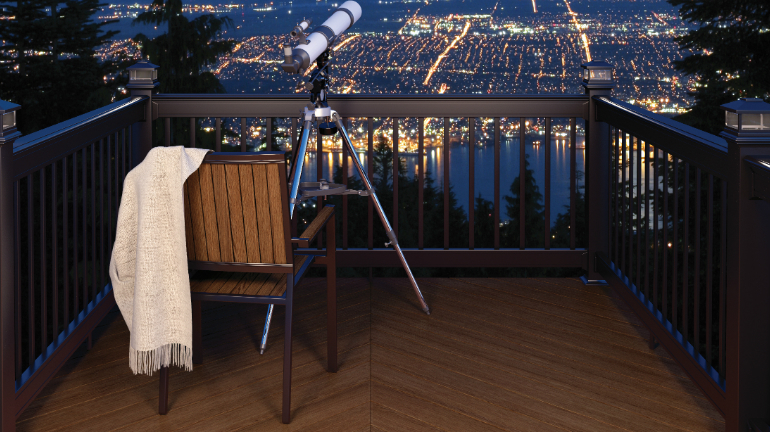 Wood, metal, composite; Deckorators offers a broad range of gorgeous post cap options. 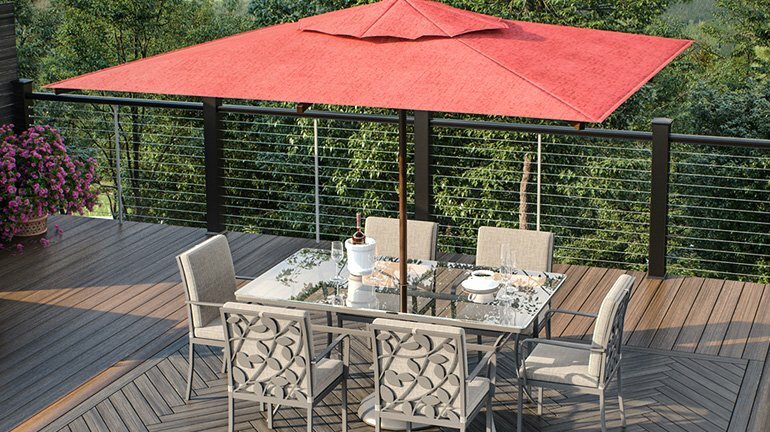 Various designs and finishes ensure you’ll find one that can complement your deck’s style. 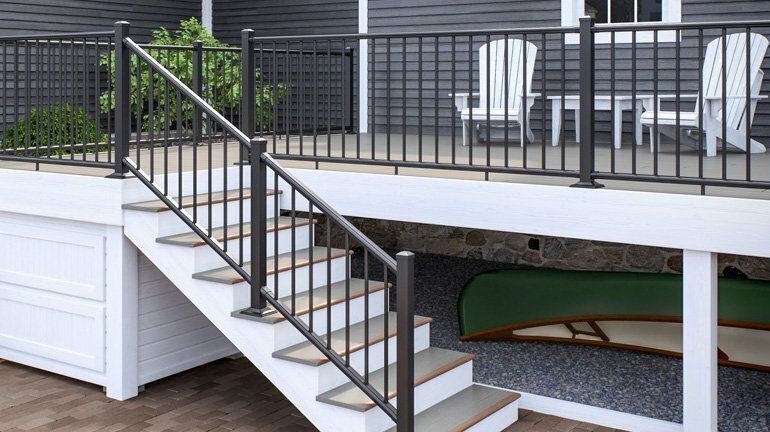 Deckorators also offers rail connectors for standard level wood rails, stair rails, and multi-angled options. 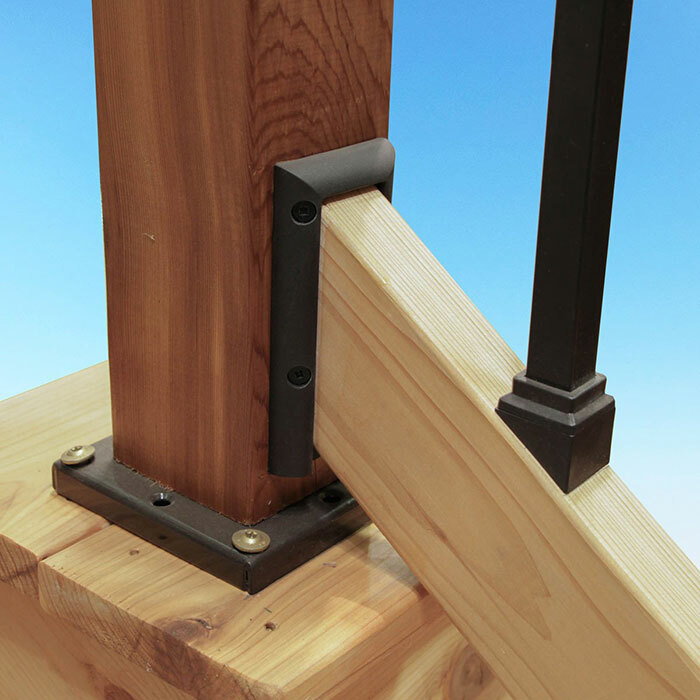 They even make a railing connector for use with 2x6 wood rails.